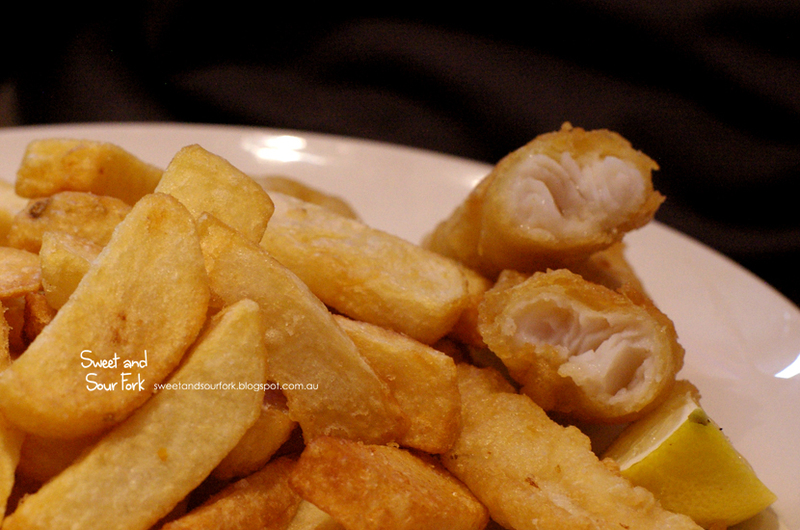 Healthy fish and chips? Call me sceptical but keen. Sure fish is great for you, but so are vegetables until you make tempura out of them. But then again calories aren’t everything, and when the produce is sustainable and locally sourced, delivered fresh daily, and the food made with care – like at Hooked Healthy Seafood – maybe a wholesome fish and chip meal isn’t just a pipe dream after all. 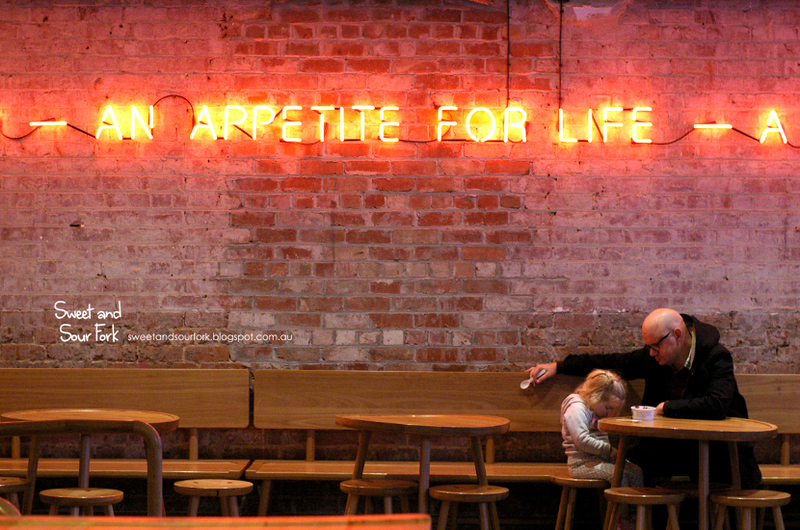 Opened only fairly recently, Hooked is a brightly lit gem on the bustling Glenferrie Road. 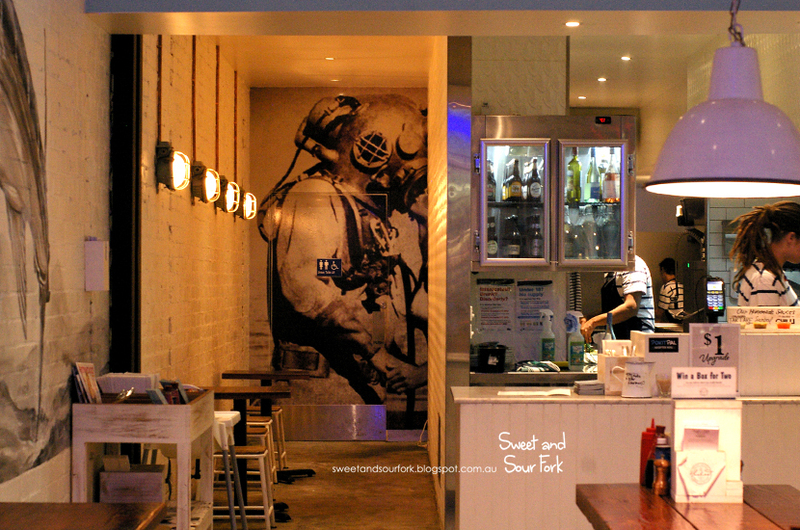 It is actually the newest member of the Hooked family, with two other branches located in Fitzroy and Prahran. 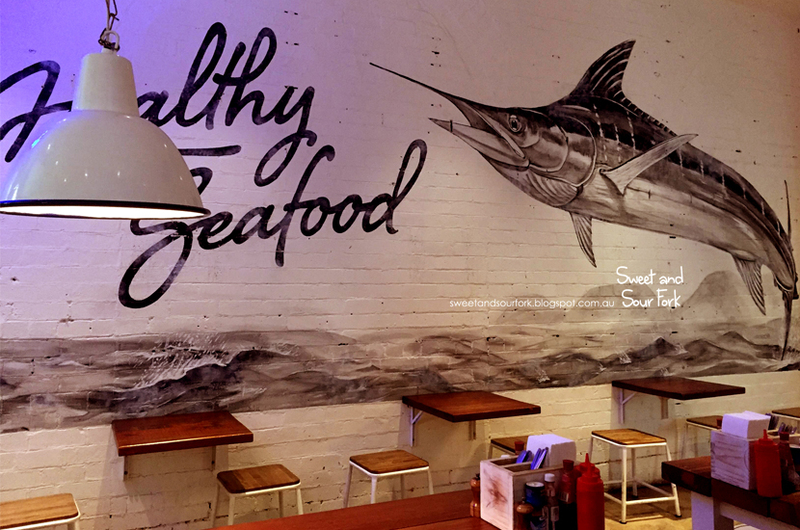 Scattered around the restaurant were nautical-themed knick knacks, with the centrepiece being a graffiti-styled mural featuring a majestic swordfish. It all felt suitably weather-worn and windswept, and really set the tone for locally caught, sustainable seafood. 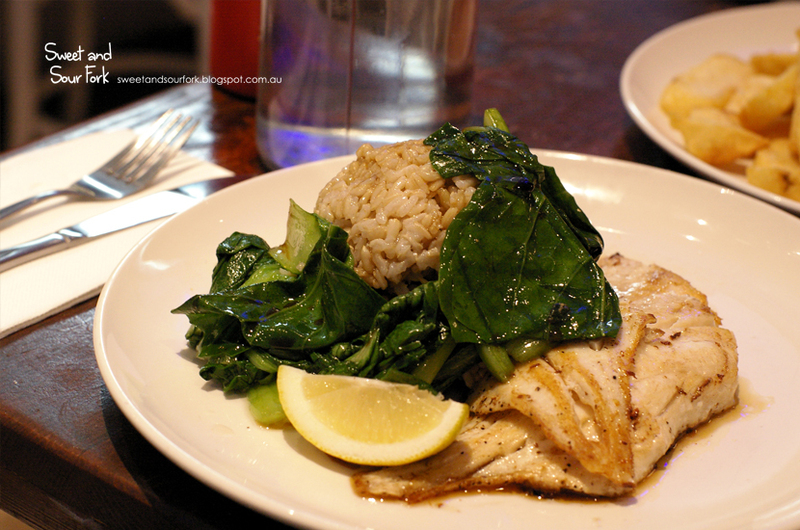 Ok so my Grilled NZ Dory with Rice and Asian Greens ($14.95) was not fish and chips per se, but it was surprisingly delicious for something so virtuous. The fillets of fish were firm and moist, served with brown rice seasoned with a little bit of sweet soy, and vibrantly fresh greens drizzled with soy sauce and sesame oil. 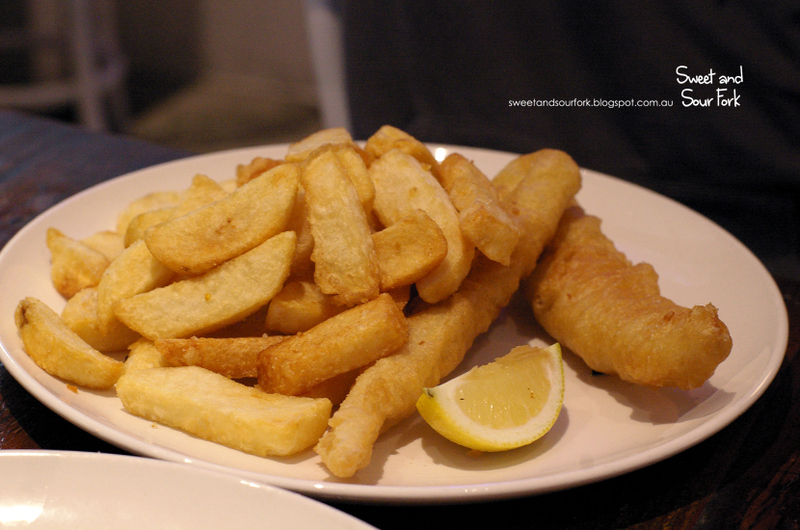 A lot more traditional was the Tempura Battered NZ Blue Grenadier with Hand Cut Chips ($13.5). The fish fingers were enviably light and crisp, and the enormous mound of fluffy fat chips was more than enough for two. 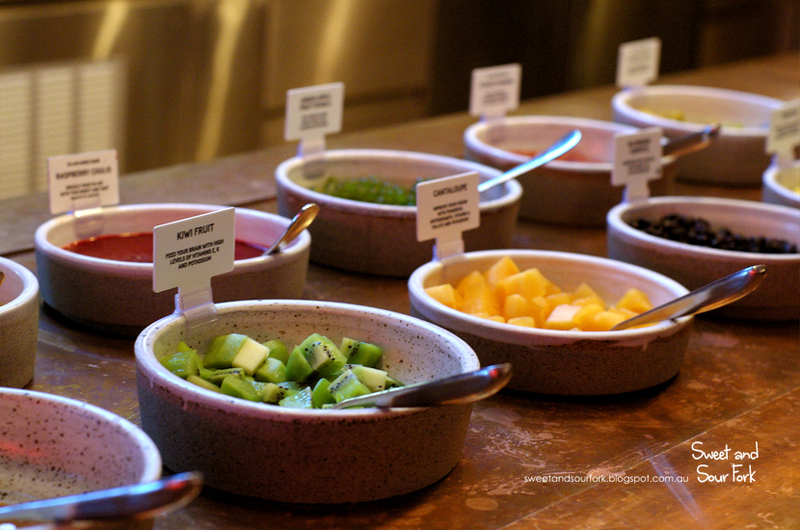 The food on every table at Hooked looked absolutely wholesome and delectable, from the house-made salads to the salt and pepper calamari, but health and environmental consciousness comes at a price. Our meal was by far the most expensive fish and chip meal we’ve ever had, and barring the massive amount of chips, the servings were also on the petite side. But if sustainability and health are things that matter to you (and they should be), then Hooked is as good of a choice as any. Rating: 12.5/20 – good for you and the environment. The night was still young, so we decided to walk down the road for some frozen yoghurt at our favourite place, Cacao Green. 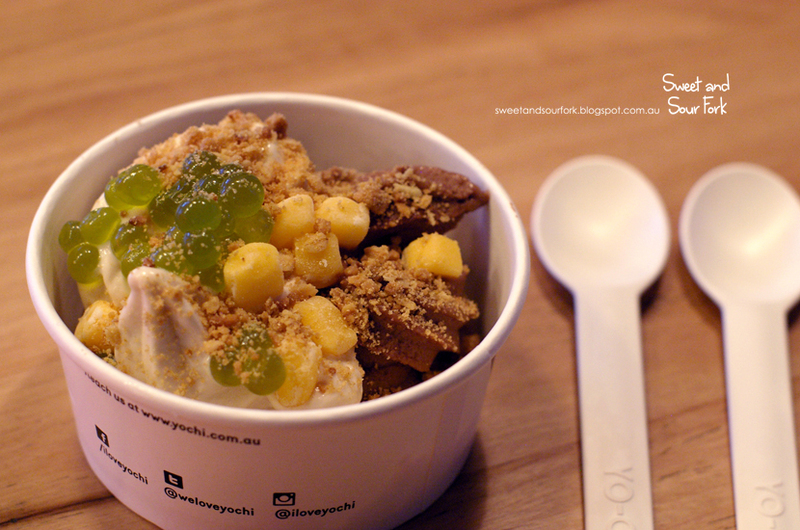 Unfortunately it had already closed, so we took that as an excuse to try Yo-Chi Frozen Yoghurt, recently opened on Glenferrie Road and drawing all eyes with its warm, glossy storefront. By now, the drill must be familiar. 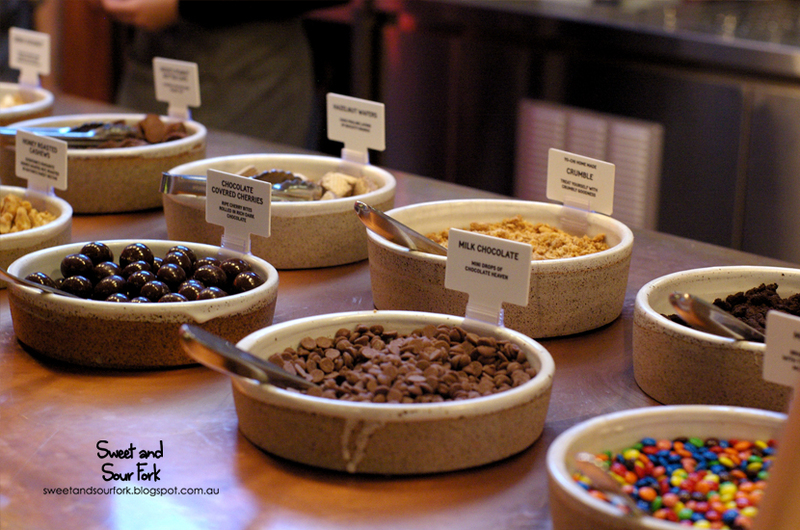 Pick your yoghurt, pick your toppings, and pay at the counter by weight. This branch of Yo-Chi has 8 flavours on offer at any one time, and the staff were more than happy to let us sample as many as we wanted before committing. Sure we could’ve gone for something bog-standard like coconut or berry, but where’s the fun in that when there’s Mandarin and Poppy Seed and Salted Butterscotch to have? 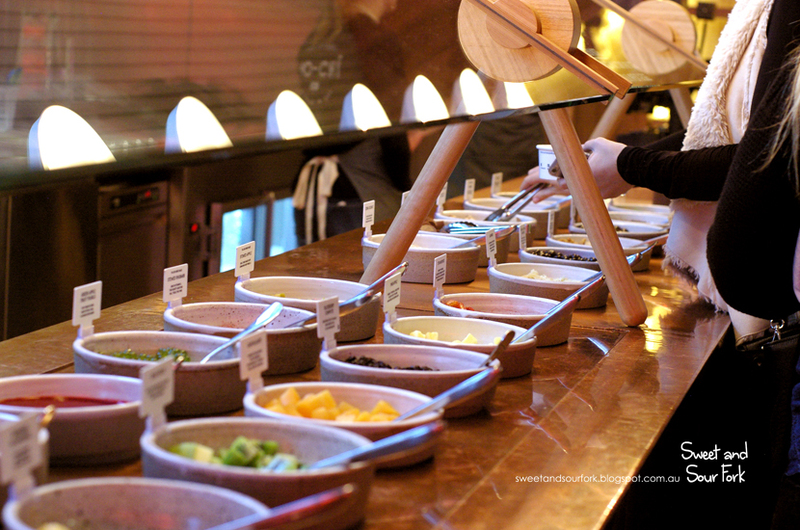 There are also plenty of toppings to choose from. 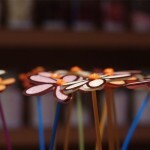 … and some not so healthy. In the end we got a mix of the Salted Peanut Butter and Chocolate Hazelnut, topped with Green Apple Pearls, Mango Mochi, and Crumble. At $2.9/100g, our pretty generous serve of yoghurt came to a very reasonable $5.9. The salted peanut butter was sinfully good, rich, smooth, and tasting of roasted nuts. On the other hand, the chocolate hazelnut was icy and refreshing, and way too good considering that it was vegan. 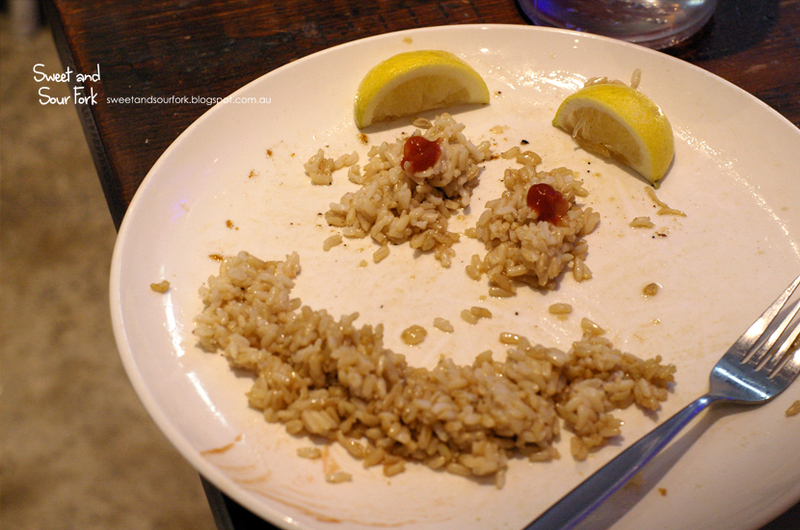 Comparatively speaking, the toppings were a lot less remarkable, but it provided a good degree of texture and variety. Yo-Chi actually turned out a lot better than I had expected; after Frozen by A Thousand Blessings, I had expected average yoghurt carried by a large selection of toppings, but in reality, it was the other way around. And I would much rather it be this way because you can always get mochi that’s less dry, but making good fro-yo is a lot harder. Rating: 13/20 – i love my new burts bees cuticle cream. yoghurt? what yoghurt? I know this hasn't got much to do with the content, but your first photo of Yo-Chi is absolutely stunning.